Transportion time: Transportion time at room temperature has not effect on product quality degradation. Solubility: Soluble in DMSO (15 mg/ml); or water (15 mg/ml). 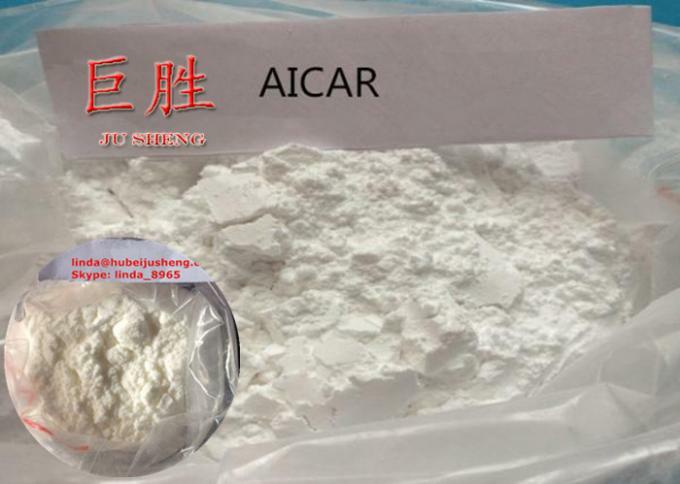 Aicar is a cell permeable activator of AMP-activated protein kinase (AMPK), a metabolic master regulator that is activated in times of reduced energy availability (high cellular AMP:ATP ratios) and serves to inhibit anabolic processes. In vivo, pharmacologic activation of AMPK with Aicar mimics exercise and triggers insulin-independent glucose uptake by skeletal muscle. Dosages range from 150 milligrams (mg) per day (if stacked with GW), up to 500mg a day when used solo. Considering the fact that each bottle typically comes in 50mg dosages, that is quite expensive, as already mentioned above. 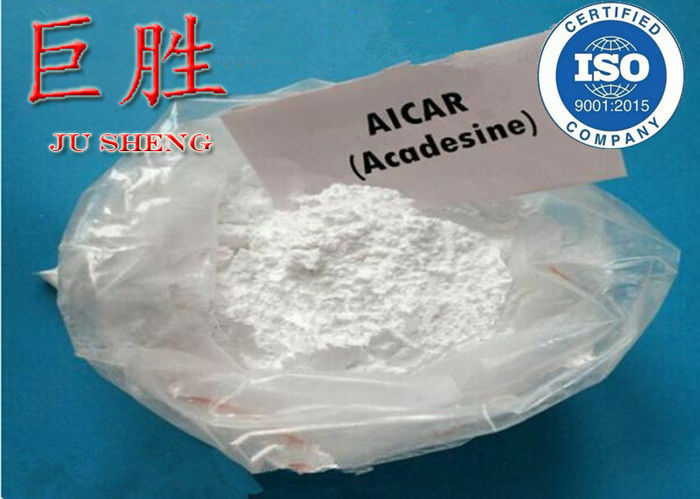 Economically, it makes most sense to run AICAR during the 4 weeks leading up to your competition. AICAR / Acadesine is able to enter nucleoside pools and is able to significantly increase levels of adenosine during periods of ATP breakdown. Adenosine-regulating agents have been recognized for therapeutic potential in myocardial ischemia. Cardioprotective. Biological Activity Cell-permeable, allosteric activator of AMP-activated protein kinase. Augments proliferation, differentiation and mineralization of osteoblastic MC3T3-EI cells and attenuates psychosine-induced expression of proinflammatory cytokines and iNOS in astrocytes.